Work by NASA proposed that Light Emitting Diodes (LEDs) had potential benefits in the medical community. Using this knowledge coupled with our understanding of how light interacts with the body Photo Therapeutics Inc. have developed a range of light devices for the medical and aesthetic communities. The OMNILUX™ gives aestheticians direct access to medically and clinically proven technology for their clients. OMNILUX™ enables the aesthetician to deliver specific colours or wavelengths of light critical to achieving excellent results for skin rejuvenation, acne and can be used in combination with other aesthetic therapies to enhance results. 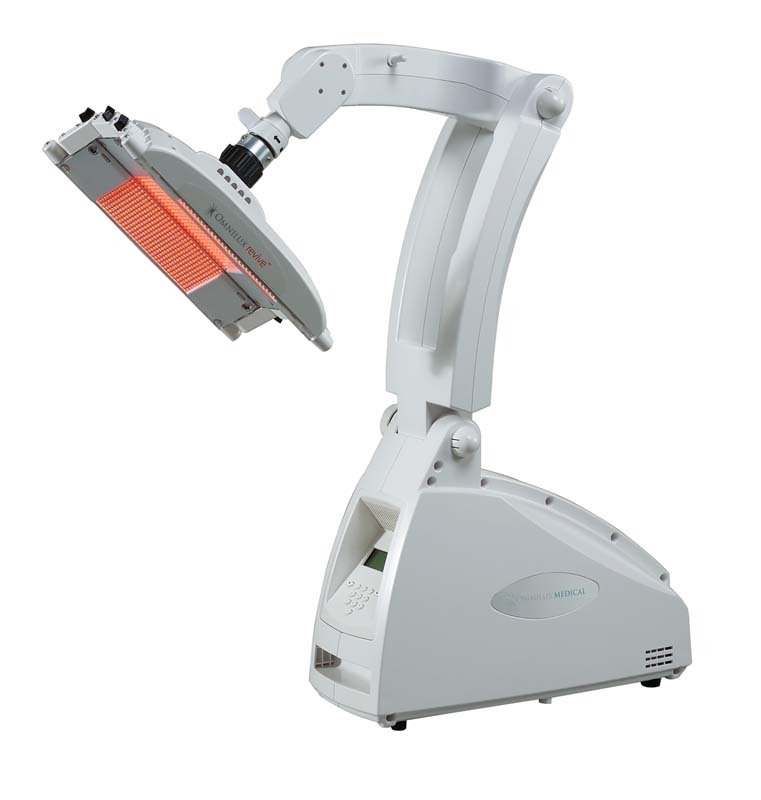 Unlike any other light therapy device on the market, OMNILUX™ is based on many years of medical research. OMNILUX™ is used extensively by 3300 dermatologists and plastic surgeons worldwide. The efficacy and safety of OMNILUX™ is very well documented in over 60 peer-reviewed publications. This ensures you have powerful results. OMNILUX™ efficacy claims for wrinkles and acne treatment are substantiated by over a decade of clinical evidence, evidence in short supply from the new quick-to-market entries in the LED light category. OMNILUX™ works with the body’s own natural processes to counteract the effects of ageing and clears acne-prone skin. OMNILUX™ features three interchangeable LED light treatment heads, each with a different colour of light, or wavelength; each head has up to 1700 evenly-spaced diodes which emit a specific narrow band wavelength of light that is proven effective for the condition being treated. 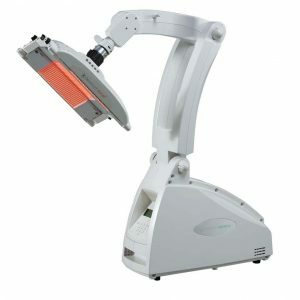 Using different combinations of the LED treatment heads means that aestheticians can deliver effective treatment protocols for acne, skin rejuvenation and for the reduction of periorbital wrinkles. What can I expect from OMNILUX™ LED light treatments? It depends on the specific condition of the skin you need to treat. Skin rejuvenation treatments using red and near-infrared light will have a significant effect on periorbital wrinkles, will help reduce pore size, improve skin tone and texture and give a vibrant, healthier-looking skin. Combining blue and red helps remove the bacteria that cause the redness and inflammation of acne, minimising the redness of acne lesions, promoting healing and giving clearer and healthier skin.